The head of Allen & Overy’s (A&O) tech innovation hub, Fuse, has been promoted to partner in the firm’s latest batch of promotions. 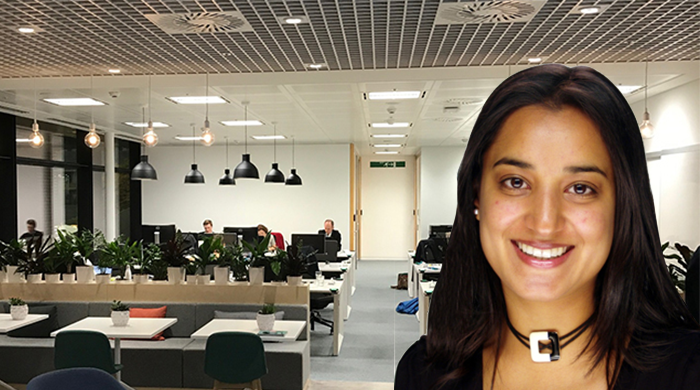 Shruti Ajitsaria, who has led Fuse since 2017, is one of 14 London-based lawyers to have been elevated to partner level. These form part of the magic circler’s global round, which has seen 34 promotions across its international offices — spanning Europe, Asia, the US and the Middle East. Ajitsaria’s promotion, which is effective from 1 May, is understood to be the first time an innovation lawyer has been made partner — a move which demonstrates how the London-headquartered firm regards the tech hub as increasingly central to its business model. Launched by A&O in 2017, Fuse, a hipster-esque tech incubator located within the firm’s plush London HQ and just a stone’s throw from Shoreditch, offers select tech-led entrepreneurs, among other things, free office space and exclusive access to some of the City player’s top legal minds. Last year saw Fuse welcome its second cohort of tech-start ups — one of which was later acquired by social media giant Facebook. This year’s round of partner promotions exceeds that from previous years. Only 20 lawyers were promoted in 2018, which was a slight decrease from the 24 announced in 2017. Cambridge-grad Ajitsaria is one of eight female lawyers to have been made partner at A&O — nearly a quarter (24%) of this year’s global round. This figure draws closer towards A&O’s target that by 2021, 30% of its partnership is female. Alongside heading up Fuse, Ajitsaria has managed a portfolio of investments in the food industry, having previously invested in award-winning London group, JKS restaurants. This saw her star as an angel investor in BBC 2’s restaurant reality series, The Million Pound Menu, in which budding restauranteurs and chefs pitch their ideas to the UK’s most well-known restaurant investors. A&O’s building is falling apart and is definitely not plush. The reception is deceptive. It is one of the least swanky offices you can get.